Are you looking for practical dog obedience training solutions that work in your real life? We have a variety of custom programs to meet any dog training needs. Whether you just want your dog to stop pulling on leash or you want an off-leash obedience rock start, we can make it happen. 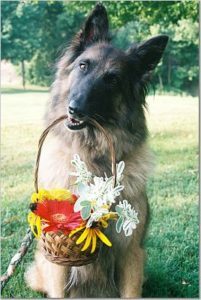 We can train your dog for you or we can teach you to do it yourself. In our most popular programs, we train your dog and then train you to maintain his new behaviors. It’s much faster and easier than doing it yourself, because both you and your dog get the ideal learning experience. Your dog learns straight from the experts, and you get to learn with a dog who is already really well-trained. Is your schedule too busy to commit to a training class at the same time every week? No time to put aside an hour every day to train your dog? Send your dog to learn to behave like a trainer’s dog. Our one-of-a-kind Total Immersion board and train programs train your dog for real life. Your dog comes to live with 2 professional trainers like one of our own dogs. 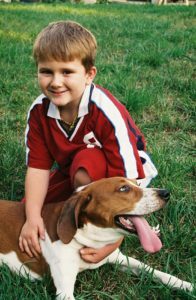 We’ll do the hard part of training your dog and establishing new behaviors in a realistic, loving, and safe home environment. When we finish, we’ll do several private lessons in your home to teach you and your family how to maintain and build on what we taught your dog. Less Work: Dog training means practicing every day. Let us do it for you. Less Stress: Untrained dogs get into all kinds of trouble: chewing things up, counter surfing, jumping on guests, etc. Let us get that under control for you in a hurry so that you can enjoy life with your dog. Real World Results That Last: We train your dog for the situations he will encounter in real life – cooking, eating, having guests, watching TV, etc. – rather than drilling commands on a training floor. Everything we do is designed to train a delightful family pet. Would you like us to train your dog for you, but just can’t bear the thought of a couple of weeks without them? In our Day Training program, we come to you to train your dog – even while you’re at work. Our trainers come to your home a total of 4 times each week for several weeks. 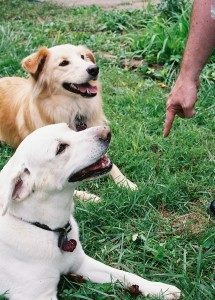 The first 3 lessons each week are to teach your dog obedience and manners. The fourth lesson each week is to teach your family to maintain the training. Less Stress: Don’t worry about finding time to train or attend classes. We’ll teach your dog what he needs to know. Real World Results that Last: We train your dog to listen where you need it most: in your home, office, neighborhood park, or wherever you need us. Our group classes and in-home coaching programs give do-it-yourself dog owners all the skills, guidance, and support you need to train a wonderfully behaved dog.